Anyone working in an office space is familiar with the many glass partitions dividing that office space. Though they are more aesthetically pleasing than other types of partitions, they come with many code regulations. There have been injuries and even deaths associated with walking into glass partitions. While the Internet has made these incidences seem humorous, they’re not so funny for business owners. These injuries can cost a business far more than the aesthetic is worth. In response, officials have made glass banding in NYC a code requirement. It may seem an inconvenience, but it can actually save businesses money. Check out these ways that distraction banding and markers can save your business money in the long run. Glass has become an increasingly popular way to improve the aesthetics of an office, but it’s also increased workplace injuries. As a response, many states have passed regulations to make glass partitions safer. However, even in the states without regulations, employers can face liability issues for workplace injuries. In New York City, there are local codes dictating the size and placement of glass distraction graphics or markers. These codes vary widely by location. The regulations in New York City are very stringent and specific. They not only mark dimensions, but methods as well. The codes can vary by mere inches, which makes consulting a professional installer almost a necessity. Not only does following these regulations save your business money in potential lawsuits, but also in the government fines you can face with a violation. Branding is something that most businesses spend a lot of money on. Representing your brand in your distraction banding is one of the cheapest ways to improve your branding. After all, you already need glass wall safety markers to stay in compliance with regulations – why not customize them into something that markets your business? 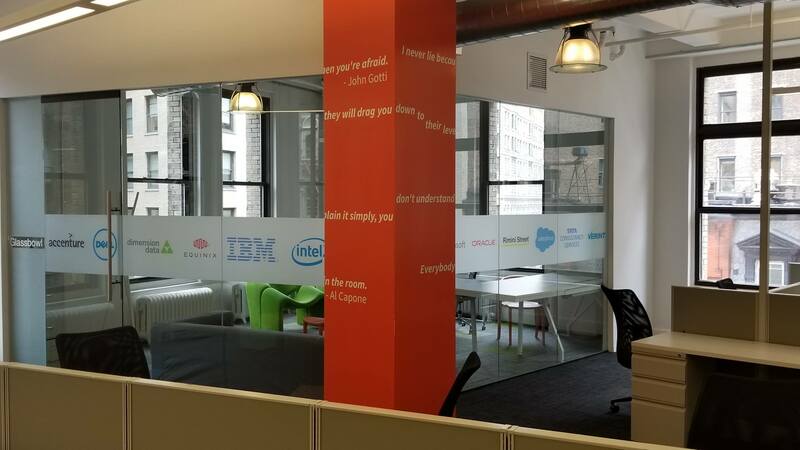 Logo branding your glass walls will help reinforce your business values throughout your commercial space. It’s an inexpensive way to enhance your company’s personal aesthetic design. Of course, all businesses deal with countless units of sensitive data every day. While glass walls are appealing, they can pose a security risk. You can not only improve the safety of your office space by using glass wall safety markers, but you can improve the security of your sensitive information as well. With the amount of data theft rising each year, businesses are always looking to reduce their liability in this sector. Glass distraction tactics are an extra means of achieving this goal. In fact, it’s one of the cheapest ways to add a little more security to your commercial space. Not only can distraction banding in NYC keep you up to code, but it can save your business a lot of money. The cost of glass wall safety markers is much lower than the savings your business will reap. 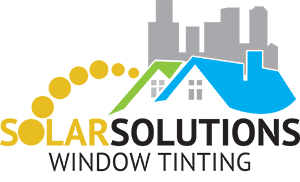 Solar Solutions has professional and authorized installers providing residences and businesses with the glass distraction banding and markers they need. Don’t hesitate to contact us with your distraction banding needs today.